We love this customizable apron, it could make a great gift for your groomsmen! Every family has one, a self-proclaimed Grill Master or Chef. 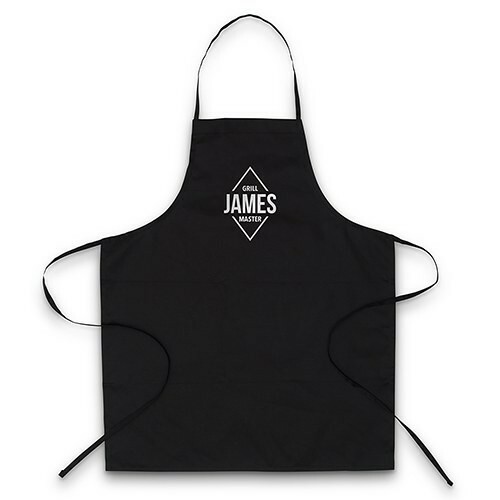 This personalized, bib style apron makes a great gift for your dad, husband, uncle, brother or any man in your life who likes to do some serious BBQ grilling. Available in white or black, this personalized apron is made from durable, wrinkle resistant 100% polyester twill that washes like a dream and will not shrink or fade.